Ethical supplement company Viridian Nutrition is backing a campaign in Ireland to stop VAT on health food supplements. Food supplements in Ireland have been exempt of VAT, until now, following a review by the Irish Government. The Revenue Commissioners have decided this special concession should no longer be applied to food supplements. Consequently, Revenue could impose a VAT rate of 23 per cent on food supplements including vitamins and minerals in early 2019. 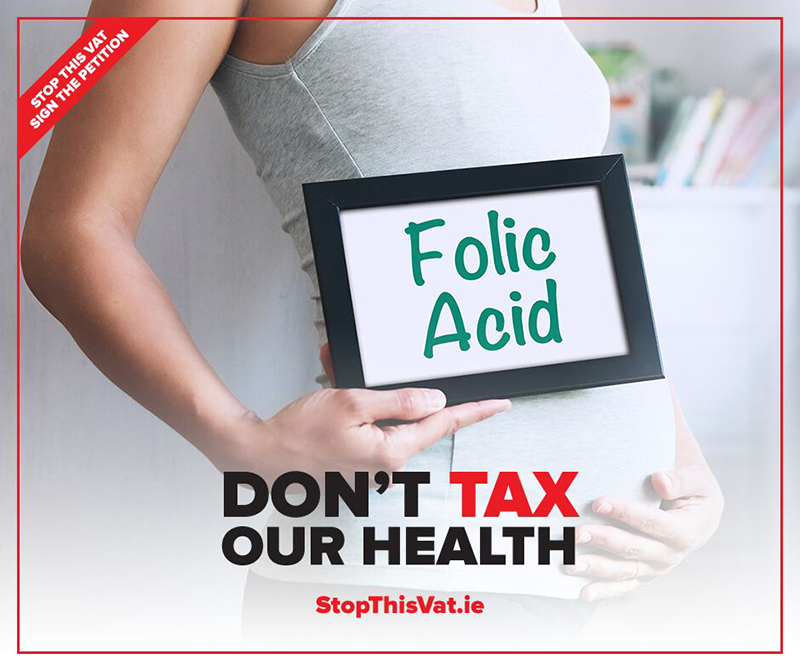 Viridian is backing the ‘Stop This Vat’ campaign, launched by Health Stores Ireland, and backed by the Irish Association of Health Food Stores (IAHS) and Irish Health Trade Association (IHTA), representing health food stores in Ireland. Most food supplements (excluding sport nutrition and beauty supplements) have had a traditional VAT rating of 0% for over 40 years. Without legislation enshrining this, Revenue have committed to applying VAT at 23% on all food supplements from early 2019." Food supplements would include everything, from your common multivitamin to keep a little pep in your step to Glucosamine Sulphate to help with achy knees or Vitamin D which is recommended for babies and supplementation during our long winter months. With the need for over 55’s to keep healthy and maintain employment for social and economic reasons, diet, exercise and nutritional supplements have become key areas in supporting general well-being. Up to now all these products have been treated rather benignly by successive governments and they were not treated as luxury items – which is where most consumer purchases would incur VAT. However, we have learnt that Revenue wish to treat supplements in the way that other luxuries are treated and that some degree of tax will be imposed upon their purchase, whether it be 13.5% or indeed the upper rate of 23%. Considering that these items are being purchased by people primarily to maintain good health and by extension relieve some of the stress on the already overburdened health system then the idea of taxing it is seen as a somewhat bizarre initiative. Health food retailers say that their customers will see it to be more a case of the government looking for yet another easy way to tax the consumers pocket and they will vehemently resist this move. While we wait for a formal announcement at Budget 2019 or the Finance Bill, it is certainly expected that yet again consumers are being required to pay more for something which the Government should encourage rather than tax.